I’m using Yaru as everyday theme. I noticed that some applications don’t seem consistent with the theme. I don’t know if they have hardlinked images or if these are unavailable in the Yaru theme, but if it’s the latter, I would like to suggest to include them too. 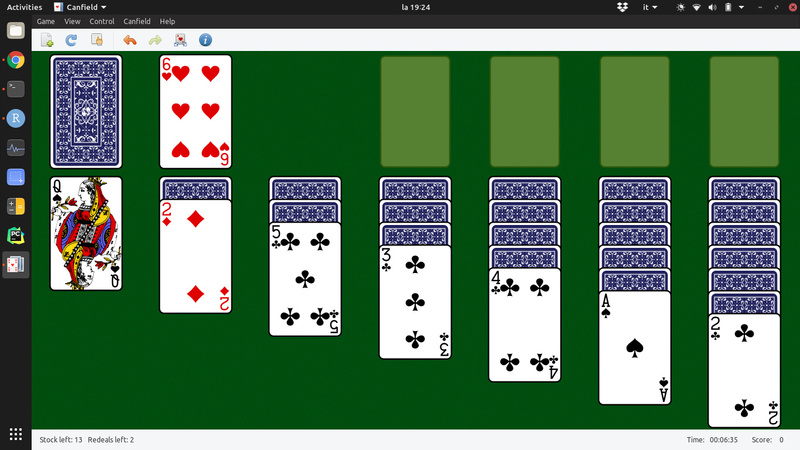 You can see Aisleriot solitaire in the screenshot, and the buttons for the actions look quite out of place to me. What do you think? Yes those are not implemented in Suru. I read what @Eskander linked, but Sam was alone, so could not take that job by himself alone. @frederik-f Do you think that now this is part of Yaru, the situation might change?